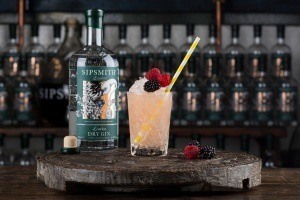 Profile: This is a great opportunity to join Sipsmith at an exciting time and to help develop this key channel for the business. The successful candidate will support the National Account Manager On-Trade in growing the Sipsmith business with the aim of increasing availability and growing distribution of Sipsmith, whilst bringing the overall company strategy to life. This role will be tasked with developing distribution opportunities and ROS within the premium on trade across a key region. Using the target account list and constantly adding to it, the On Trade Executive will act on new business opportunities, follow-up on key new customer leads and report weekly to the National Account Manager. This role will be expected to form great working relationships with regional wholesalers, providing them with support when required in the form of trainings, tastings, launches and POS for their customers. Working closely with a team of Brand Ambassadors, the role will also be responsible for seeking out new RTM opportunities regionally. Please send your CV to [email protected] with the subject title ‘On Trade Exec’ and a cover letter explaining your experience and why you would be a good fit for Sipsmith.